Keep it simple with the 2014 RAV4. We recommend the base LE, because none of the higher trims offer more function or fun—and even the basic touch-screen system offers good connectivity. The 2014 Toyota RAV4 is sensible and spacious; but if driving fun is a priority, you can do better. The Toyota RAV4 has evolved over time. What started as a compact crossover SUV with commuters in mind has become one of the more popular family vehicles in the Toyota lineup. The current RAV4 has finally scrubbed away the final cues of its former SUV ambitions--a tailgate-mounted tire--but it's also become a more limited offering, with only four-cylinder power and without a third-row seat. Taken in perspective, the 2014 Toyota RAV4 leaves room for the larger Highlander, which had been squeezed upscale by the last RAV4, and it brings its bearings back firmly to the compact segment. But last year's redesign did bring some important new changes, in the way of updated transmission, better safety features, and updated safety gear. As it stands, the RAV4 is the middle-ground pick for pragmatists: it has more room than the perky Ford Escape and road manners that are just a little more alert than those in the Honda CR-V.
Last year's redesign purged one of the remaining vestiges of the RAV4's history: the tailgate-mounted spare. 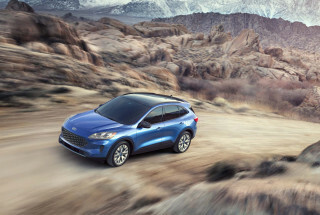 This year it's history, and the more hatchback-style flow and lower stance, pitch the RAV4 headlong into a lookalike bin filled with the Ford Escape, Hyundai Santa Fe, even Mazda CX-5. Arguably, the RAV4 has a more carlike face than them all, but it doesn't pull off such a clean design in back as the CX-5. The taillamps er XT. are pointy and shelf out, all in the name of meeting safety regulations. Inside, there's some discord in the cockpit; this is a case in which the RAV4 limited and its many trims and surfaces leave us admiring the basic RAV4 LE's simplicity. Once upon a time—just a couple of model years ago—there were V-6 models of the RAV4 that were surprisingly quick; but the current RAV4 gives up those chances of a transcendent upgrade in favor of a better ride and more carlike handling. There's only a 176-horsepower four-cylinder under the hood now, but the six-speed automatic with sport-shift mode saves it. Consider the 0-60 mph time of under nine seconds, and the RAV4 isn't quick, but it's quick enough for most family needs. The new RAV4 is responsive, although never sporty in the same way as a Ford Escape or Subaru Forester XT. Yet at the same time, the RAV4 rides lower, with well-weighted electric power steering and a good sense of center. All-wheel drive is just a $1,400 upgrade, and we like how the system works not only for inclement weather conditions but also for on-the-road handling. There isn't much of a range in the way the RAV4 rides and handles, but for a slightly better ride we'd stick with the 17-inch tires on LE and XLE versions. The RAV4 didn't become significantly larger with last year's redesign, but smarter packaging made it more passenger-friendly. Base versions come with a cheaper upholstery and seats that are less supportive, while XLE versions include more firmly bolstered seats and nicer fabrics that we wish were standard across the board. The synthetic leather upholstery in Limited models looks great from a few feet away, but up close it looks shiny and cheap. Seating space in the RAV4 is about on par with the CR-V—definitely more generous than the Escape. But there are some flaws: The back bench is less supportive than adults will expect, and its flip/fold mechanism is one step shy on slickness, although cargo space is excellent. Limited versions get a power tailgate. Safety ratings are top-notch for the most part, but the RAV4 has one unforgivable blemish: a 'Poor' rating in the new IIHS small overlap frontal test. Otherwise, the RAV4 ups its safety ante with eight standard airbags, including knee airbags. Bluetooth is also standard across the board; a rearview camera is also included, while Limited models include blind-spot monitors with cross-traffic alerts. LE, XLE, and Limited models of the 2014 Toyota RAV4 are offered. At the base level, the RAV4 LE comes with power locks, windows, and mirrors; air conditioning; cruise control; tilt/telescoping steering; steering-wheel audio and phone controls; and an AM/FM/CD player controlled, through a 6.1-inch LCD touchscreen. We tend to think that the base RAV4 LE or mid-range XLE models are the best deal. The XLE adds dual-zone automatic climate control; a sunroof; and fog lights, to which the Limited adds a leather-wrapped steering wheel. Limited include a power driver seat and those 18-inch wheels. Audio systems are noteworthy in the RAV4. For 2014, there are four different levels of Entune touch-screen audio, with the top two levels incorporating the App Suite—Bing for search; iHeartRadio and Pandora for audio streaming; MovieTickets.com, OpenTable®, and Yelp for going out; and real-time traffic, weather, fuel prices, sports and stocks. The 2014 Toyota RAV4 doesn't stray much from compact crossover convention, but it's tastefully done in every way. The current generation of the RAV4, introduced last year, looks quite a bit different all around, but the differences are most pronounced around the back. That's where you might notice that the tailgate-mounted spare tire—a RAV4 staple in the past—is missing. It's under the cargo floor in 2014 models, which to us completes the RAV4's metamorphosis from activity vehicle to family workhorse. 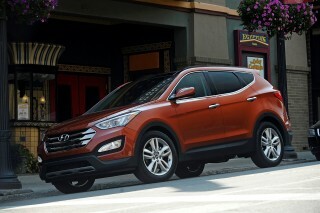 It's far more of a tall hatchback than it used to be, with the profile and stance much more in line with the current norm for the Ford Escape, Hyundai Santa Fe, and Mazda CX-5. Around back—and all around, really—the set of cues that that the RAV4 inherits borrows ruthlessly from Toyota's best-looking crossover, the Venza. The RAV4 has a real underbite in front, and the nose has the same sharp corners and taut fender lines. The shoulder lines look muscular, thanks to the expected upkick in the rear. Meanwhile, pointy taillamps sit high like the ones on a Scion xD. Altogether it adds up to a vehicle that communicates its mission but is by no means voluptuous. If we had to nitpick, we'd focus in on the RAV4's tailgate: the taillamps are pointy and shelf out, all in the name of meeting safety regulations. There's some discord in the cockpit too--not in the clash of lines and surfaces, but in the plastics that form them. It's rare we like cheaper plastic better, but too many kinds of trim turn us away from the Limited and its synthetic leather. Elsewhere inside, it looks like Toyota looked for some inspiration from its 1980s products when laying out the current RAV4's interior. Top models even sport two-tone, stitched and padded upholstery across the midline, in what looks like the most tasteful cabin in the segment in photos; unfortunately there's a reality check involves, as up close these materials reveal themselves as painfully low-grade. 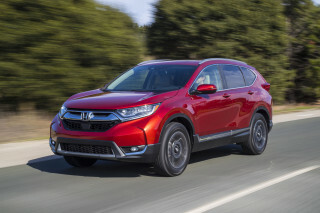 The four-cylinder-only RAV4 manages to feel a little perkier than the Honda CR-V, but the other turbo crossovers are the way to go if you need to scoot along quickly. 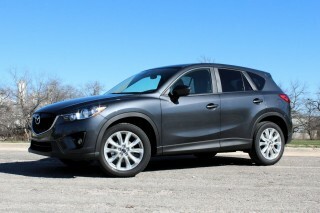 On one hand the 2014 Toyota RAV4 doesn't offer the scorching V-6 of a couple years ago, and its straight-line bravado. On the other hand, it handles better than ever before, and it includes an all-wheel drive system that makes a play for those who don't just need traction for winter snowstorms. It's definitely a case of give and take. 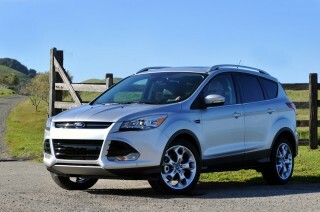 The Ford Escape, Subaru Forester, and really most of the rest of the segment offer stronger acceleration. Yet the 176-horsepower four-cylinder is adequate, saved by a six-speed automatic with a sport-shift mode and a 0-60 mph time of less than nine seconds. The overall impression is that the powertrain is smooth but not particularly swift—and those who want a perky, responsive feel might want to consider one of those other models. The RAV4 is quick from a standing start, but then it tends to flick quickly to third and fourth even in urban driving, dropping into a low-rpm lull just as soon as it can. It's a little better in Sport mode, where the transmission smooths those quicker shifts by blipping the throttle. The fundamentals of good, responsive handling are here, with a reasonably low ride height for a crossover, combined with electric power steering that has good weighting and centering feel. One of the key differences here is whether or not to spring for the $1,400 all-wheel-drive system, which is now more sophisticated, so that not only provides power to the rear wheels in foul weather but also delivers torque with finesse to the rear wheels when cornering hard. While the 2014 Toyota RAV4 is perfectly at ease in most conditions with just front-wheel drive, the RAV4 now appeals to those who the optional all-wheel-drive (AWD) system uses electronic control to send power rearward when slippage in front is detected, and offers a true 50/50 fixed power split at up to 25 mph in 4WD Lock mode. A new electromagnetic coupling that sends torque to the rear wheels when slip is detected; when you select Sport mode it sends 10-50 percent of torque to the rear wheels to help improve handling. For foul weather, the Lock feature gives predictable levels of traction—enabling the RAV4 to power through snowy driveways or muddy trails. And if you'd like the steering a little heavier, Sport mode delivers that as well. It adds more weight, with good on-center tracking and stability and less resistance to returning to center. Overall, the RAV4's front-strut and rear control-arm suspension doesn't have as much travel as, say, the bigger Chevy Equinox or Hyundai Santa Fe, and it shows when the RAV4 goes for limited excursions on gravel roads, where uneven surfaces are the rule, not the exception. And ground clearance is just 6.3 inches—that's a couple of inches less than you'd get in a Subaru Outback. The back bench in the RAV4 falls flat, and the interior trim has some issues, but there's great space overall inside the two-row RAV4. The 2014 Toyota RAV4 didn't become significantly larger with last year's redesign, but smarter packaging made it more passenger-friendly. Base versions come with a cheaper upholstery and seats that are less supportive, while XLE versions include more firmly bolstered seats and nicer fabrics that we wish were standard across the board. The synthetic leather upholstery in Limited models looks great from a few feet away, but up close it looks shiny and cheap. Seating space in the RAV4 is about on par with the CR-V—definitely more generous than the Escape. Above the base LE trim level, the RAV4 gets a more sculpted seat with better fabric--and if there were a way to put these seats in the base RAV4, we'd take it. The driving position is agreeably carlike, but the standard tilt/telescoping steering wheel doesn't extend as far as it could. On the most expensive versions, the driver seat gets power adjustment and memory functions and lumbar adjustment; the front passengers get heated seats; and all seats are upholstered in synthetic leather that's reasonably comfortable but maybe not quite as convincing as what's used in some VW vehicles. Back seats are comparable to those of the Honda CR-V—meaning that entry and exit are easy and folding is easily done, but they're not as comfortable for adults (they're flat and hard) as those of a mid-size sedan. The seats recline, and fold forward with the flip of a lever--and the doors are cut tall and wide, so it's easy for taller passengers to slide in (the RAV4 sits about an inch lower than before, and seats are positioned lower inside the vehicle as well). Yes, the RAV4 used to offer a third row, but it's been dropped from this current version, so that the Highlander can pick up that—with a third row that's missing from all of this? The RAV4's former third-row seat. It's been dropped from this iteration, so the bigger three-row Highlander can have more room to breathe. it won't be missed much, since it was so small to begin with. On all versions, the back seat is split, and portions can be folded down, together to open up the RAV4's cargo bin from 38.4 cubic feet to 73.4 cubic feet. There aren't any severe flaws in the packaging, but the flip-fold backseat arrangement is just short of slickness. Because the new model no longer has a rear/tailgate-mounted spare, that cargo space is much easier to get to than it was with previous RAV4 versions (the hatch is top-hinged. On Limited models, there's a standard power liftgate, and you can program a specific opening height—to accommodate a low garage ceiling, for instance. Inside the RAV4 cabin there's a mishmash of textures and grains. The SofTex vinyl upholstery in the Limited is great on its own, but it doesn't match up in the right ways with any of the complementary trims; also factor in the button 'blanks' scattered around the dash, and it doesn't entirely convince you it's premium anyhow. Going with the simple, more durable-looking, rubberized dash trim in the base LE might be a better choice. Bluetooth and a rearview camera are standard on all models; but in crash-test safety, the RAV4 isn't in the top tier. 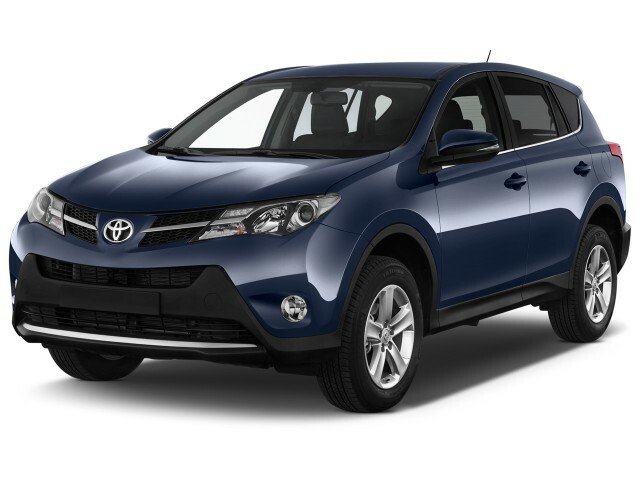 The 2014 Toyota RAV4 has a respectable safety roster, with eight airbags as standard equipment, including knee airbags. 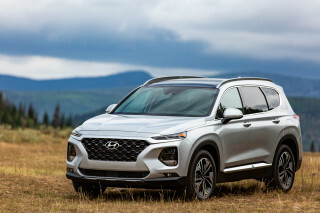 A Bluetooth hands-free interface and a rearview camera are also standard across the board, and blind-spot monitors with cross-traffic alerts are available on the top trim level. That's the good side of the story. Safety ratings aren't quite top-notch; they're definitely sullied a bit, first by a single 'Poor' rating in the new IIHS small overlap frontal test, then by an imperfect four-star performance in the federal test, in a class where there are quite a few five-star vehicles. In NHTSA's tests, the RAV4 received four out of five stars overall, with four stars for frontal impacts, five stars for side impacts, and four stars for rollovers. 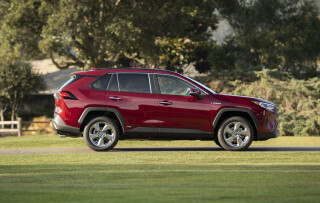 The all-new Toyota RAV4 received safety ratings of 'good' across the board from the Insurance Institute for Highway Safety (IIHS) in that agency's tests–for frontal, side, and rear impact, along with roof strength; but in the new IIHS small overlap frontal test, which simulates the offset frontal collision with a tree or pole, the RAV4 doesn't do nearly as well—with 'Poor' results that indicate a higher likelihood of injury. 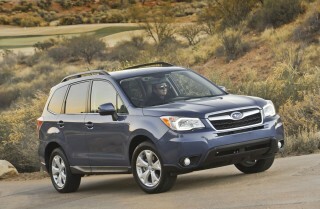 The Subaru Forester, on the other hand, achieves the top 'Good' rating in that test. The 2014 Toyota RAV4 keeps up with rivals in connnectivity and audio, and perhaps makes the most sense in simple, value-packed LE or XLE trims. The 2014 Toyota RAV4 is offered in LE, XLE, and Limited models. At the base level, the RAV4 LE comes with power locks, windows, and mirrors; air conditioning; cruise control; tilt/telescoping steering; steering-wheel audio and phone controls; and an AM/FM/CD player controlled, through a 6.1-inch LCD touchscreen. We tend to think that the base RAV4 LE or mid-range XLE models are the best deal. The XLE adds dual-zone automatic climate control; a sunroof; and fog lights, to which the Limited adds a leather-wrapped steering wheel and a SofTex synthetic-leather material on its seats and even on a trim panel extending across the dash. It also gets a power driver seat, heated front seats, a power tailgate that can be programmed at different opening heights, and pushbutton start. Major options on the RAV4 include navigation on the XLE and Limited, with Entune app connectivity and satellite radio; and on the Limited, a JBL audio system with 576 watts of power and 11 speakers. Blind-spot monitors with cross-traffic alerts are available on the top trim level, and for 2014 lane departure warning and automatic high beams have been wrapped into the Technology Package that's only available on the RAV4 Limited. All-wheel drive remains an option on any model, for $1,400. The Toyota RAV4 is on par with the Honda CR-V in fuel efficiency; but it's nowhere close to hybrid models. The 2014 Toyota RAV4 is quite fuel-efficient by most family-vehicle standards, although if you're comparing the RAV4's numbers to those of hybrid models—or even some with class-leading gas mileage, you're likely to wonder why Toyota isn't in the upper echelon, as it is with the Prius. With last year's redesign, the RAV4 did make frugal advances, and one of the main reasons for that was the transmission upgrade, to a modern six-speed automatic. Engine technology hasn't changed significantly in several model years, however. 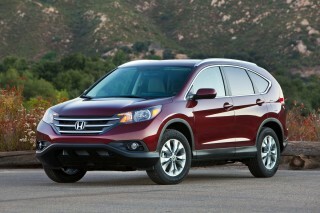 Front-wheel-drive models manage fuel economy numbers of at 24 miles per gallon city, and 31 mpg on the highway. Upgrade to all-wheel drive and you'll lower the gas mileage to 22/29 mpg. All considered, those numbers aren't particularly class-leading. 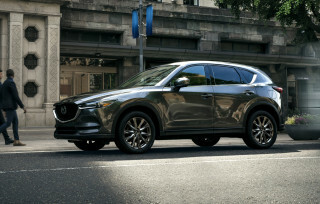 The Mazda CX-5, for instance, achieves up to 35 mpg highway, and the most efficient versions of the Ford Escape also top it. Nice to drive on smooth roadsa. Good car. Overall we are very satisfied with our 2014 Rav 4 Limited. We are very satisfied with 28.5 mpg and the vehicle overall. A few details need to be improved upon however on the Limited Edition e.g. all dash &... Overall we are very satisfied with our 2014 Rav 4 Limited. We are very satisfied with 28.5 mpg and the vehicle overall. e.g. all dash & door controls should be lighted, there should be a coin box, electric driver seat should go back further, passenger front seat should be electric as well, Home Link Unit should be available, horn sound should be stronger, & wheels should hold up better after its first winter. This is a very good vehicle if U are NOT a big/tall person--hard to get in out--hit my head every time I enter/exit. Thank God for memory seats so i can hit the button & make sure seat moves back/down prior yo... This is a very good vehicle if U are NOT a big/tall person--hard to get in out--hit my head every time I enter/exit. Thank God for memory seats so i can hit the button & make sure seat moves back/down prior yo getting in. Ride is so so--short wheel base makes for alot of bouncing even on ok roads. Beautiful vehicle but not much leg room for the driver (5'7") and i keep on bumping my head on the top.But its a good vechicle though,price is very steep for a 4x2 SUV as compared to a 3.0L 4x4 hilux.